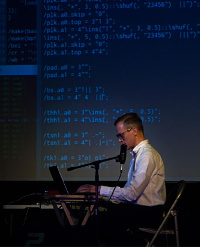 H. James Harkins is a composer of electronic music for live performance, based in Guangzhou, China in the Modern Music Department of the Xinghai Conservatory of Music. 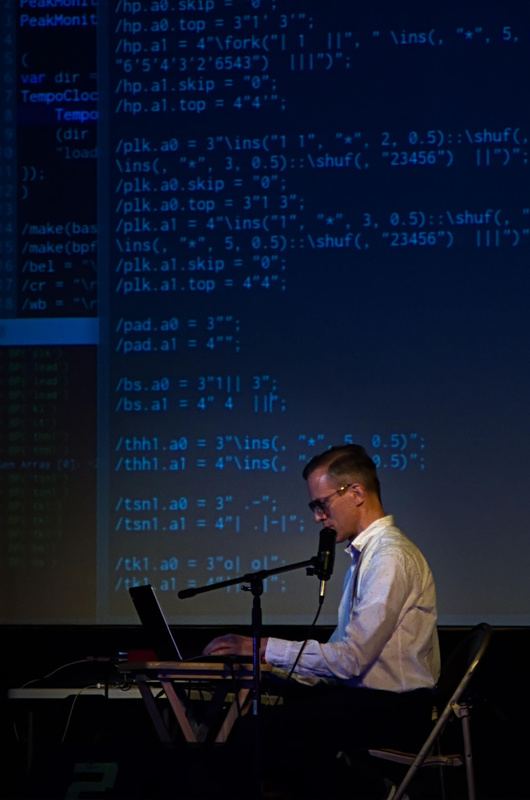 A demonstration of live coding in SuperCollider. Youku link for Chinese readers. In my semester-break rush of tidying things up, I’m pushing out a point release of my live coding framework. This is the version used in my recent performances. The last tag release was October 2016. It’s a lot more stable and usable now. Also, I spent a lot of time in the last couple of weeks updating and expanding the documentation. Demo jam after the jump. 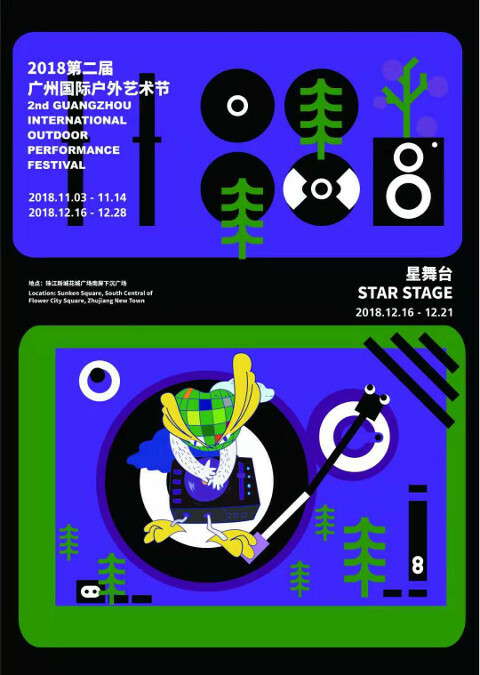 December 16 (upcoming), an appearance at the Guangzhou International Outdoor Performance Festival. It took a while to mix down the pieces from the second semester of the Xinghai Computer Orchestra, but here they are. Descriptions after the jump. Some years ago, my father Patrick wrote lyrics for a cabaret-style song about the interminable train delays in Terre Haute, Indiana, and invited (dared?) me to set them to music. So I did. It took a few years, but here is a simple reading for voice and piano, by Patrick’s colleague at Saint Mary-of-the-Woods College, Tracy Richardson. Just released: An early version of a new SuperCollider Quark, ddwLivecodeInstruments, a set of ready-to-play instruments for my Chucklib-livecode system. Along with this, I’ve added a Tutorial section to the Chucklib-livecode manual, which uses the new instruments to get users started quickly. I’m looking for testers to read the tutorial, try the examples, and play with them. Details below the jump. Southern California residents: My friend and grad-school colleague Christopher Adler will present a recital of modern music for the khaen (a Lao/Thai free-reed mouth organ), including the world premiere of my new piece for khaen and electronics, Late Passing. Thursday, November 2, 7:30 p.m.
Chris is an outstanding musician who has been playing and writing for the khaen for some twenty years now. This recital will be well worth your time. Finally, after two years, I’ve updated the live coding video on my front page. It’s a fresh performance of material that I played in a concert at Xinghai Conservatory this week (June 19). With the new generator framework, the music develops faster, into a more complex texture, than I could manage before. It’s a new milestone. Recently completed: A short music cue for a film, Holiday, by Chen Zhihai (an up-and-coming Guangzhou-based director). The film is a gently-paced view of life in Yunnan province, touching also on the family pressures that young Chinese gay men and lesbian women still face concerning marriage. Expected to be shown in some film festivals in the coming year (though the film is still in post-production, so screening dates aren’t confirmed yet). Recently released: A new quark extension for SuperCollider, ddwSnippets, making it fast and easy to insert reusable code templates into ScIDE code windows. On December 6, 2016, the new Sirius Ensemble performed its first concert of new music in Guangzhou, PRC. Founder and electric guitarist Pierre Stordeur, bassoonist Michael Garza and violist Yang Jing performed works by Stordeur, Isang Yun, Michael Jarrell, Steve Reich, new Bach arrangements by Stordeur and… a new electronic piece by myself, Jupiter Chimes. Acknowledgment to the php-markdown library © 2004-2015 Michel Fortin. The Dream Orphans font is used according to its noncommercial license. The Vera Humana 95 font is distributed apparently without a license.